Aim: To self-treat and prevent from problems of neck, shoulders, back, knees and ankles. Dr Zhuang Yuan Ming, a famous doctor and professor of traumatology and orthopaedics, integrating several decades of clinical experience and what he has learnt from teaching and scientific research, and combining the soul of traditional martial, has created the medical health exercise – Lian Gong Shi Ba Fa (Eighteen-Method Exercise). Eighteen-Method Exercise(Medical Health Exercise) has exerted obvious effects on the diseases such as the pain in the neck, shoulders, waist and legs etc. for its strong pertinence and scientificity. In addition, the Exercise is simple and easy to learn, so it is very popular among plenty of patients and exercise-fanciers. For this Eighteen-Method Exercise has been conferred the ‘Shanghai Scientific and Technological Achievement Award’ many times and also honoured as one of significant achievers in the field of Chinese Traditional Medicine Research of Shanghai since the establishment of our country. Eighteen-Method Exercise has been listed as one of the people’s gymnastic items to be popularized at home and abroad by the State Physical Culture and Sports Commission of China. During the past over thirty decades, the Eighteen-Method Exercise has not just been popularized in various places of China. Along with the time past, its exercisers have covered all comers of the land. Domestic and overseas participants of this exercise are over ten millions, it was voted one of the Ten Shanghai people’s Favourites Sports Activities, 2003. Thereafter, Lian Gong Shi Ba Fa initially only accepted as a passive medical treatment, came to accepted as an active self-training program. There are altogether three sets of Lian Gong Shi Ba Fa. Part 1 is exercises for prevention and treatment of pain in neck, shoulder, waist and legs; Part 2 is exercises for prevention and treatment of pain in joints of the extremities, tenosynovities, tennis elbow and internal organ disorder; Part 3 is exercises for prevention and treatment of the chronic bronchitis and the weakness of respiratory functions of middle-aged and old people. Time has fled. With today’s class finished, our Qigong class has gone through its two-year’s journey (started 8 Mar 2017). From next class, on Thursday 7 Mar 2019, it will starts its first step of the third year. By the time of the 2nd anniversary of our Health Qigong Class, I have to say that the Class would not be able to survive today without all of your participations and supports. Therefore, I would like to give my great thanks to you all – the members who had ever joined the Class and our current members – Thank you very much for joining the Class and thank you very much for supporting me to keeping the Class. I have a lots of thoughts when I reflect the two-year-experience. Firstly, over the two years, there are total 30 people have ever joined the Class and 8 people have stayed and currently become our regular and honest members so far. We have totally learned seven forms Health Qigong, they are Yi Jin JIng, Xi Sui gong, Liu Zi Jue, Tai Chi 24 forms, Da Wu, Rejuvenation Qigong and Li Gong Shi Ba Fa. Over the two years, we have had three times gatherings with twice for Chinese New Year and once for Christmas celebrations. At the early stage of our class, one member joined me in Fishbourne Summer Fete and gave a demonstration of Health Qigong to the Public. Early this month, three of our members helped me hold a Chinese culture stand at Guildhall Portsmouth and demonstrated health Qigong to the public there. A couple of days later, three members discovered, visited and supported the Buddha temper near Midhurst (unfortunately I missed this activity due to being sick). Two members have managed to contact the local media and put our Class information on their magazine calenders. All these to me just like it happened yesterday. They have given me a lots of happy time to recall now and future. Further more, I have learned a lot from you all over the time. I have always heard from you greeting and caring words or emails whenever I felt not well or in sickness. This has made me feel warm, cheerful and like be in a family. Particularly, you have shown your tolerance and containing towards my poor coaching and language skills. I have appreciated your kindness and supports to me. Thank you so much for this. In short, since to promote our health is our common idea of gathering us here, let’s continue work together, help each other and perform more quality Qigong exercise in the new year. We had a Christmas Afternoon Tea party this evening. Thanks to Sue, Mary, Helen and Terri for their attending the party and bringing lovely foods and drinks in. We had a lovely social time then. We also agreed to having another gathering session on 7 Feb 2019 at Chinese Royal Restaurant, Chichester, to celebrate Chinese New Year. Everyone and your family are welcome to join us then. You can get the same health benefit from Tai Chi as from vigorous workout like Zumba. Playing Tai Chi has positive effect on heart rate, blood (increase antioxidant) and blood vessels (increase elasticity of vessel). Breathing in and out, exhaling and inhaling, they get rid of the old to absorb the new. They swing like bears and stretch like birds – all this they do in order to have long life. They are Daoyin disciples, people who nourish their form seeking for longevity like Pengzu. The Da Wu based on simple dance movements of ancient times. It blends the method of Daoyin to open up and remove obstacles to the regulation of the vital energy and functions of the human body, improves the flow of qi (vital energy) and blood and enhances functions of the joints. In the movements of the body, the bones serve as levers, the joints as fulcrums, and muscles contraction provides the motor force. Each joint is a mechanism, and it moves with the internal or external changes of the body. The main purpose of the Da Wu was to relax the joints and relieve pain; that is, to soften the joints, regulate and improve the meridian system (main and collateral channels), and hasten the flow of qi and blood to the hips, knees, toes, shoulders, elbows, wrists, palms and fingers. At the same time, the Da Wu uses pulling, stretching, rotating, shaking and rubbing to relieve the joints, muscles and blood vessels and corresponding channels and to improve the circulation of qi and blood. Dance not only helps the muscles but also the internal organs to promote the circulation of qi and blood. Tai means great; Chi (Ji) means end, pole. Tai Chi is to clarify the universe from the Infinite to the tai Chi, as well as all things derived from. Tai Chi, according to Daoim philosophy, indicates the most original and primitive state of the universe. 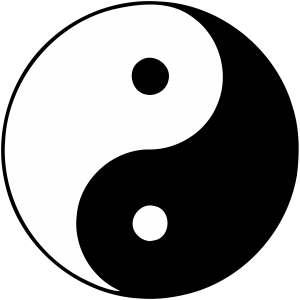 Tai Chi generated the two instruments – Yin and Yang instruments. Infinite that is, is more than the original Taiji more ultimate state. Infinite generates Tai Chi, Tai Chi moving generates yang; Motioning to the top then starts motionless; Still forms yin; Motion starts again while still to the end. Motion and still are of the root to each other and depend on each other. Tai Chi is the origin that all things of the universe were derived from. Currently, we are practising Xi Sui Gong, Liu Zi Jue and Tai Chi 24 forms at our class. See Resource for the videos. Master Damo, the ancester of 28th generation of Zhen, who created the Xi Sui Gong at Shaolin Temple, China, in 526AD after 9 years self-closed in a cave practising Zhen. Master Damo died when he was 202 years old. Master Zi Jue used to suffered from several severe diseases six years ago – the mouth and bladder cancer made him skin fester; the diabetes led him sight-lost. He was at the edge of dying then. However, since he started to practise Xi Sui Gong 3 hours a day for a year, he has gotten rid off all of his health problems. Now he is now able to work 18 hours with only 3 hours sleeping a day. He found that this set of qigong has strong function of preventing from disease and promoting recovery; The forms are easy to learn and practise; And as long as you keep practising it, you would find your health and longevity increased. In order to help more people to increase their health and longevity, Master Zi Jue started to spread and teach the Damo Xi Sui Gong qigong. A warm welcome to all the new members who joined us on 3rd Aug. It was lovely to greet Rhona, Ash, Tina, Joan and Jo as well as our regular members Fay, Carol, Sue and Lindsay. I am happy to see the classes are becoming popular and looking forward to next weeks session! Currently the class members start learning Tai Chi 24-Form. Yesterday, some of our members joined me to attend the School & Church Fete at the Fishbourne Primary School Field, where we forming Yi Jing Jing Qigong in front of the audience successfully. Some audience showed their interests in Qigong and joining. Hopefully, through this demonstration, more and more people would understand Qigong and join our club. Many thanks to June and Carol for organizing, presenting and performing the qigong with me in the public and many thanks to the unknown name lady who joined us in the demonstration as well. Our Health Qi-gong class will move our time from Wednesday Morning 10 -11am to Thursday early evening 5:30 – 6:30 pm. Welcome to join us. We are invited to give a demonstration of Yi Jin Jing Qi-gong on 17 June 2017 on the Fishbourne School & Church Summer Fete 2017. Thanks all the members who will join me for the demonstration and welcome everyone who are interested in Qi-gong or Tai Chi exercise to join us together then. To strengthen muscles and tendons’ strength and promote their functioning. Inner organs (Liver, Heart, Spleen, Lung, Kidney and Three Jiao) exercise Qi Gong; To promote important organs’ function and detoxify. Over the centuries, the Six Healing Sounds (SHS) went through a number of development and modification by various prominent TCM doctors, Taoists, monks and ascetics such as Sun Simiao (孙思邈), also known as China’s King of Medicine, and Zhiyi (智顗大师), the founder of the Tian Tai school of Buddhism. However, due to a lack of a standard way to transcribe the sound of Chinese characters in the past, much confusions about the pronunciation of some words arise. So the Chinese Administration of Sport of China decided to gather existing records of SHS, compare them and study the differences with the help of Chinese linguistics experts. In 2003, a revised version of SHS is released, and it is now promoted as a health-promoting Qigong practice (健身气功) in China. The SHS you see in this article is based on this version. In Traditional Chinese Medicine (TCM), the five major organs* — heart, liver, spleen, lung and kidney — are each assigned an element (fire, earth, metal, water or wood). Every organ also has an associated sound in which the organ resonates with. By using the associated sound, stale, congested qi can be expelled from the affected organ and be replaced with fresh, clear qi. When qi gets congested or blocked due to inappropriate diet, poor lifestyle habits, repressed emotions and/or weak constitution, it becomes congested and turns into a cause of pain, discomfort or illness. Depending on where the qi gets stuck, symptoms vary. If it gets stuck in the spleen, the stale qi may manifest as bloating, abdominal pain, gas, and/or poor digestion. If it is in the liver, then it might be felt as pain in the lower right rib cage, quick temper, or liver/gallbladder dysfunction. If it gets trapped in the head, then it could lead to headache or illusion. According to TCM theories, badly congested qi can also lead to stagnated blood and blood clots. The Six Healing Sounds practice helps to move congested qi and allow the body to get rid of it by creating different internal vibrations and pressures within different parts of the body through the inhaling and exhaling of air. In other words, when you make the six healing sounds, you are giving the internal organs a good massage to expel stale qi. For health maintenance, practice the six healing sounds in the order as given above, that is: Xū (Wood) → Hē (Fire) → Hū (Earth) → Sī (Metal) → Chuī (Water) → Xī (Wood). This order is based on the mutual generation of the five elements (五行相生). Alternatively, if you are short of time, you can practice just the sound that is associated with the current season. For example, if it is winter, practice the sound, Chuī, to strengthen the kidney system. Note that the last sound, Xī, can be practiced all year round to support the triple energizer. To promote healing, practice the six healing sounds in the following order: Hē (Fire) → Sī (Metal) → Xū (Wood) → Hū (Earth) → Chuī (Water) → Xī (Wood). This order is based on the mutual overcoming of the five elements (五行相剋).Alternatively, if a specific part of your body requires special attention, you can practice only the healing sound associated with that organ. But as the organs referred to in TCM are not quite the same as the anatomical organs we are familiar with, you may need to consult a TCM practitioner to give you an accurate diagnosis of the organ(s) you should focus on. Regardless of whether you are practising all six healing sounds or only one of them, always breathe in slowly through your nose and breathe out evenly from your mouth. Repeat each sound six times, and practice the sequence (be it one sound or six sounds) preferably three times a day. The history of qi-gong dates back to about 5000 years. There were many terms given to such kind of exercise before, like xing-qi (promoting the circulation of qi), fu-qi (taking qi), dao-yin (guiding the energy flow), tui-na (exhaling and inhaling), zuo-chan (sitting in meditation), yang-shen (nourishing the spirit) and jing-zuo (sitting still). It was not until 1953, when Liu Gui-zheng published a paper entitled “Practice On Qigong Therapy“, that the term qi-gong was adopted widely as a formal name for this type of exercise. Manuscript drawing of physical exercises dao-yin (guiding the energy flow) from an ancient tomb of the Han dynasty. Meditation is important in Taoist practice. Interest in qi heightened in Chinese medicine’s development, and qi-gong became one of the roots of Chinese medicine as well as concepts such as yin and yang and the five elements. it was discovered that qi-gong could be used for martial arts purposes. Many different styles of qi-gong were founded, for example Taichi Nei Dan (Internal Elixir) and Shaolin Wai Dan (External Elixir) exercises. Later in the Qing dynasty (1644 – 1911 AD), qi-gong practices from India, Japan and other countries also became known in China because of improved communication between the countries. Qigong has gained higher priority and more rapid development since the founding of the People’s Republic of China. Medical workers and qi-gong masters have made efforts to popularize it for health preservation and disease prevention strategies. Scientists study qi-gong in terms of physiology, biochemistry and modern medicine, which has inspired many to learn the tradition. Selective training has now been replaced by more open teaching and research. Confucian practice aims at high moral character and intelligence. A ccording to the historical background, qi-gong can be classified into five major traditions; Confucian, Buddhist, Taoist, medical and martial arts. Each tradition has its own purpose and different methods of training and practice. The following is a brief description of the major traditions of qi-gong and its applications. Medical Qi-gong Medical qi-gong emphasizes the free flow and balance of qi (vital energy) in the body. The primary purpose is to treat illness or cure a disease. Medical practitioners learn how to use the inner qi for diagnosis and healing. Confucian Qi-gong Aims to provide high moral character and intelligence. Martial Arts Qi-gong Trains the body for protection from cuts by weapons or attacks using the four limbs. It also trains the body to deliver fatal blows enhanced with qi. In Chinese medicine history, many of the famous Chinese medicine physicians were also qi-gong masters. Hua Tuo (141-208 AD) devised movements that were similar to the movements of five different animals: the tiger, deer, bear, monkey and bird. These five animal movements had profound influence on the development of dynamic qi-gong practices. TCM physicians have contributed to qi-gong’s development over the centuries making it more practical and widely applicable. It is one of the four main branches of TCM, the others being acupuncture & moxibustion, therapeutic massage & bone-setting, and herbal medicine. The aim of the Fishbourne Centre Qigong Class is to promote people’s health. Therefore, the tradition of qigong we are preforming is Health Qigong. Health Qi-gong emphasizes the free flow and balance of qi. The primary purpose is to treat illness or cure a disease. Medical practitioners learn how to use the inner qi for diagnosis and healing. Currently, in the Class, we are learning and practicing Yi Jin Jing, Xi Sui Jing, and Liu Zi Jue Qi-gong. The three sets of Qigong focus on exercising our muscles and tendons, brain, spine and marrow, and the internal organs respectively. The exercises are of a combination of breathing, mind focusing and movements; and are gentle and slow. This is suitable most groups of people to practice. The Class currently runs on Wednesday mornings between 10 and 11am. Everyone is welcome to join the class with £6 to pay-on-attending.